This review is going to have to play out a little differently to how mine normally do. Conventionally, right now we'd be in the second sentence of a paragraph detailing the premise and plot of the film, to allow a brief insight for those who haven't perhaps seen it. However, here I am reviewing a film that anyone would struggle to write a premise for that can last a paragraph. Hell, even three sentences would be a stretch. Does this sound familiar to you? Perhaps. There are some films so empty and lacking in plot that this opening paragraph becomes impossible. Predictably, those films normally have their reviews closed with a low rating and a weak summary. But, here we have Boyhood. A film that has gained more hype than is ever healthy, and has already been labelled the unquestionable winner of 2015's Oscar for Best Picture. 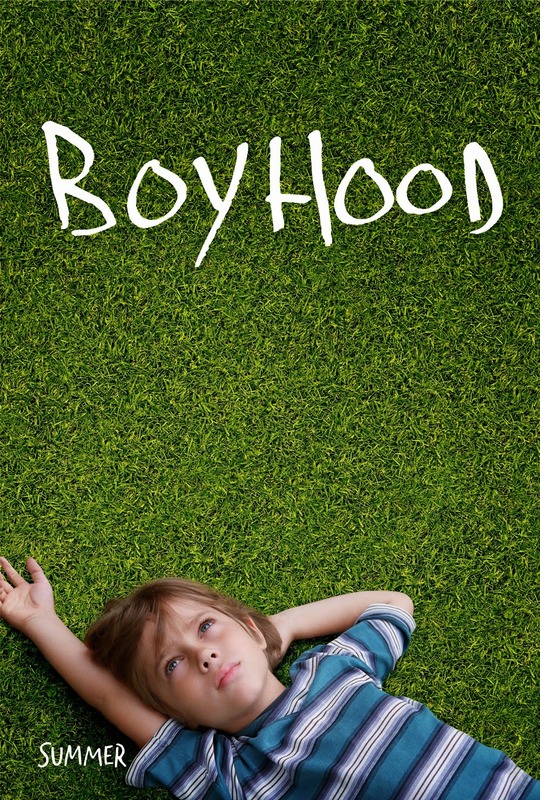 So, even with this break of convention for my review, does Boyhood live up to its hype? I have never seen a film quite like Boyhood. So unconventional, yet so simple. So technically ambitious, but quite basic in its story. This combination of ploys and oppositions winds together to create a film unlike anything you will have ever seen before, and probably will never see again. For those who don't know, Boyhood began shooting back in 2002, and tells the coming of age story of a young boy named Mason (Ellar Coltrane) trying to find his way in life. Shooting lasted around eleven intermittent years, ending in 2013. Using the same actors throughout, we visually and emotionally watch Mason grow from boyhood to adulthood. Surrounding Mason is his family, namely his mother Olivia (Patricia Arquette), his sister Samantha (Lorelei Linklater) and his sometimes distant father Mason Sr (Ethan Hawke). This journey that we take with this family is arguably one of the biggest stories told on screen, yet it remains so small in scope throughout. Other films have been equally as ambitious in terms of scale, but they conventionally wind up telling a story across worlds and with a shed-load of visual effects to aid them. Boyhood doesn't need any of that. Boyhood takes one of life's most difficult journeys, and tells it across 11 years, condensed into just under three hours. That journey from childhood to adulthood is one of life's most complex, and most delicate. Director Richard Linklater understands this; he uses his eleven year span to tell his story, but never forces it upon us. If you want to ignore the fact that this is the same child growing up in front of your eyes, you can. But I don't know why you would. This might be the first time an almost three hour run time feels too short. Clocking in at 165 minutes, Boyhood never has a dull patch. I can't quite put my finger on it yet, perhaps further analysis at a later time will aid this, but Linklater employs something that makes his story so interesting, despite the fact that Boyhood wouldn't be entirely as enthralling had it been produced conventionally. Yet even though I know it would still make an excellent film told normally, the effect that this unconventional approach has is quite spectacularly emotional indeed. We aren't just watching Mason grow from boy to man, we watch Coltrane take this journey too. Boyhood was written much like it was filmed, intermittently across an eleven year time span. This allowed Linklater to write his story around his actors and for them all to tell this tale so beautifully. It really is quite something. Boyhood is truly one of a kind. People talk about journeys, and people talk about stories. So many films take us on a journey, and plenty of films simply tell us a story. Boyhood does both, and it does so effortlessly. In an age where all the high grossing films are 3D inflicted, visual effects driven blockbusters, some filmmakers forget that often simplicity is the key for perfection. Perfection in cinema is a difficult area; of course, film is entirely subjective. People can make of films what they will, which is why I generally refrain from labeling films as perfect. But, every now and then, a film comes along that is so groundbreaking in its ambition and achievement, yet so touching and rewarding in its outcome. Boyhood is that film of this decade. There may be no such thing as a perfect film, but with its lifetime orientated journey, something tells me that this is the closest any of us could get in, well, a lifetime. To Summarise: Spectacular in terms of technical ambition, emotional scope and simplistic yet enthralling storytelling, Boyhood is a film for the ages. A heartwarming, stunning journey that represents life at its best and its worst, and unlike anything cinema has ever seen before.